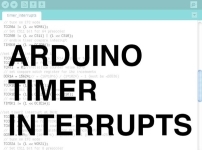 One thing I do quite a bit of is testing and development on both the Arduino micro-controller and Raspberry Pi micro-computer. I have a few different test environments and they all use some sort of breadboard. 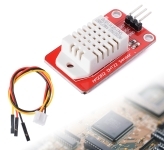 When I’m using multiple controllers/computers, sensors and input devices, I need the breadboards to be powered. This can, and will, reduce the power burden on all the devices being used. For example, when I testing an ESP8266/NodeMCU I need to power it and don’t want to over burden the circuits on my Arduino UNO board. I still have my Arduino UNO powered via the USB or separate supply in addition to the powered breadboard. There are many places to order the same breadboard power supply I use. The actual brand you purchase doesn’t really matter. Just make certain to know the maximum current draw. Personally, I use the YwRobot 545043 power supply. I’ve never had one fail and you can get 5 of them for less than $10. 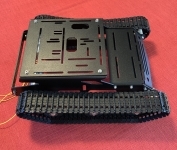 The YwRobot power supply accepts up to 12v input power. I use an AC to 12v DC power cable, rated at 2 amps. 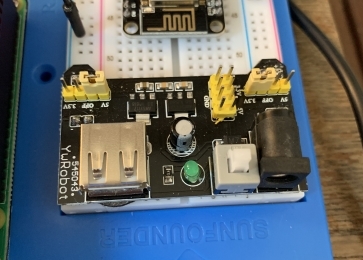 You can select 5v or 3.3v for each powerrail on your breadboard. This is especially handy because there are many devices (example – ESP chips and breakout boards) that only run on 3.3v. Always make certain all of your devices are grounded together. Don’t mistake this for “all devices powered together”; you don’t want to do this or will damage your Aruino, sensors and/or input devices. One of my test environments. All devices are grounded but not all powered by the breadboard power supply. If you look closely you will see Raspberry/Arduino (bottom left) is powered by a separate power supply and the Arduino (upper left) with the DRDUINO test board atop also has its own separate power supply. 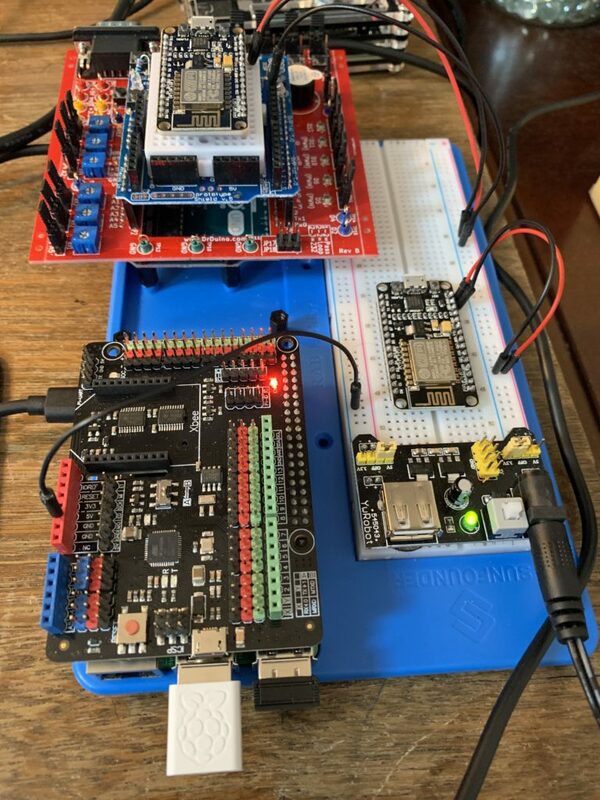 There are two ESP8266/NodeMCU boards; one atop the (upper left) Arduino UNO and the other (on the breadboard) are powered by the 3.3v supply from the breadboard power supply. 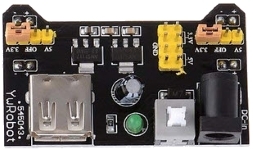 Most of these breadboard power supplies can only handle about 700ma current draw. Adjust and use multiple breadboards and power supplies if needed.